I’ll be the first to admit that I don’t love to rake leaves, so when I do it, I want it done quickly. 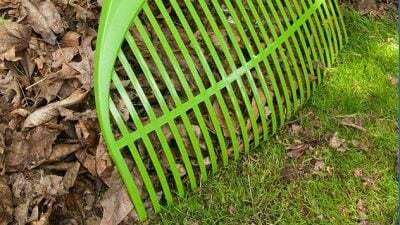 The Ames Collector Series leaf rake’s 26-inch head is designed so all of the tines are in contact with the ground at the same time, so leaves are collected quickly and efficiently. It’s also lightweight and durable.